Enamel Pro is a 1.23% fluoride prophy paste that is formulated to deliver amorphous calcium phosphate (ACP). The ACP reportedly remineralizes tooth enamel by incorporating calcium and phosphate into the enamel. The paste is available in four flavors (cinnamon, grape, mint and strawberry) and four grits (fine, medium, coarse, and extra coarse mint). It is also available without fluoride in a coarse grit with mint flavor. Enamel Pro is packaged in boxes of 200 prophy cups and two Comfy-Grip prophy cup holders. Thirty clinical consultants used Enamel Pro in over 1600 applications. This product received an 88% clinical rating. 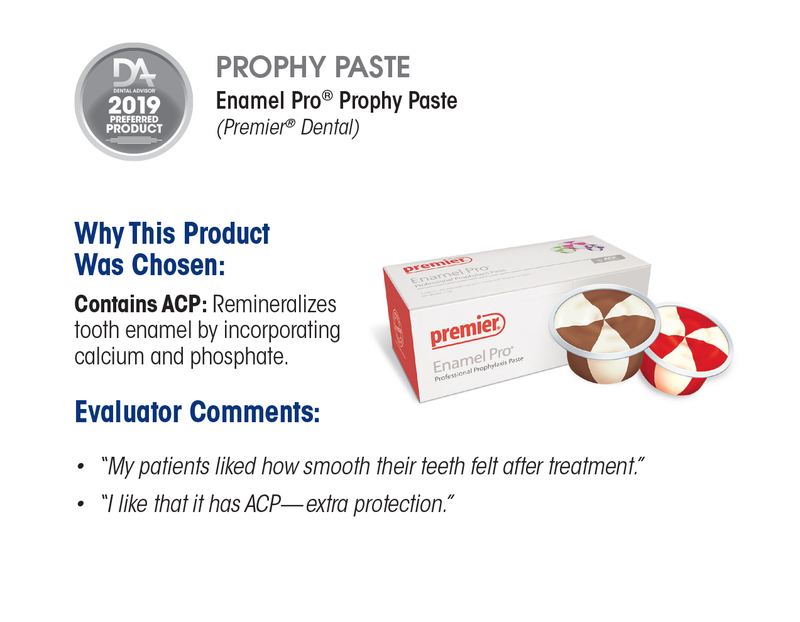 Enamel Pro is a good prophy paste with flavors and aroma patients liked. Each cup contains more than enough paste for a routine prophylaxis. Many patients and consultants commented on the smoothness of the paste and how smooth their teeth felt after use. The ACP formula was listed as a benefit by the majority of consultants, although some would like to see additional research on the effectiveness of ACP. Consultants liked the included Comfy-Grip, noting that the prophy cup was securely held for easy access. The overall stain removal and polishing are adequate. One-third of the consultants noted an increase in splattering and difficulty in completely rinsing away the prophy paste. 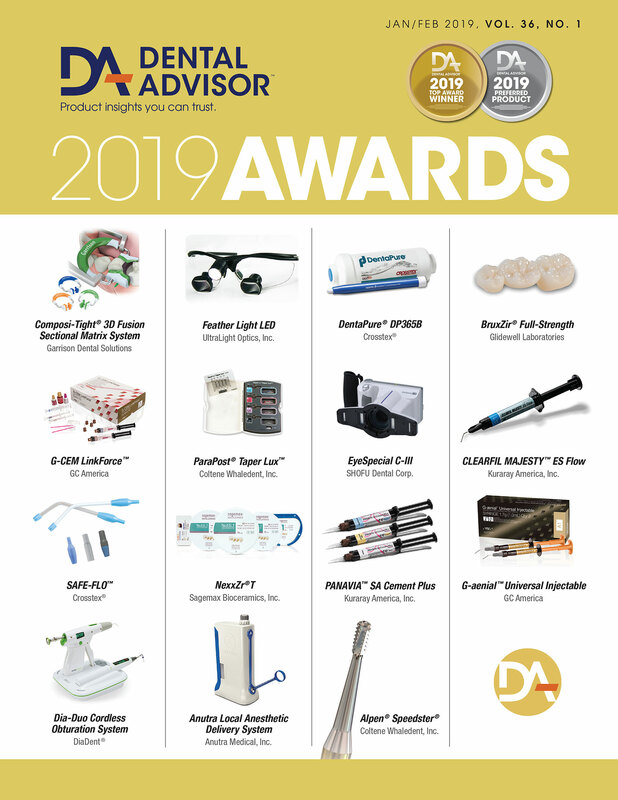 Sixty-nine percent of consultants reported that Enamel Pro was equal to or better than their current prophy paste, 65% would switch and 72% would recommend it to a colleague.